Sam Levin looks at Halftone, an app for iPhone and iPod touch that adds an aged halftone-style printing effect to photos to give them a unique, vintage look. 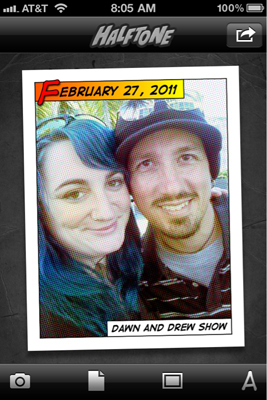 This entry was posted in AppMinute Podcast and tagged in Halftone, iOS, photography. « Apple iPad2 Special Event!